What better way to upgrade your existing fluorescent, CFL or Metal Halide lighting with an energy-efficient Retrofit Kit. It can be installed into a vast amount of different fixtures and lamps, with just a few steps. 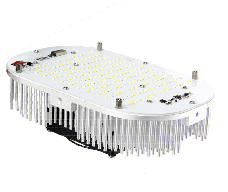 These are high powered lighting without the high costs to operate. Click on a product to view the spec sheets. Retrofit Kits come with a 5 year manufacture warranty​​.